The following letter was originally published in the Edmonton Journal on February 9, 2019. When I volunteered to become Chair of the Edmonton Humane Society’s Board of Directors last May, it was an easy decision. As an animal lover myself, I was inspired by the important work the more than 110-year-old not-for-profit does every day, saving lives and giving animals a second chance they may not otherwise have. The recent decision the Edmonton Humane Society Board made with regards to ending enforcement of the Animal Protection Act was not as easy. This decision led to a lot of sleepless nights, and I want to share why with you. I recognize that this change came as a surprise to many in our community. Like you, we wondered if not us, who would ensure that animal protection legislation was enforced? This is the answer we were hoping to confirm before sharing the news with you. As advocates for animal welfare, we believe animal protection is a vital service for our community. We approached both municipal and provincial levels of Government with our concerns and questions, but after decades of voluntarily carrying out this work, it seemed there was no back-up plan. That’s why we were working hard behind-the-scenes, calling, emailing and meeting with various agencies who also have a stake in these laws. We put all our efforts into finding a solution, so we could focus on a smooth transition and prevent a gap in service for vulnerable animals in our community. There were multiple factors to this decision, from upcoming new provincial requirements for Peace Officers, to the ever-expanding boundaries of our growing City, and the investment that would be required to build our team and execute enforcement well. We also considered whether it’s appropriate for a private, non-profit agency, with an unpredictable revenue model that relies on donations, to be enforcing public laws. Ultimately, we had to ask ourselves – are we an enforcement agency? This question reminds me of a recent situation our Animal Protection team faced, when a mother cat and three kittens came into our care through a protection case, with three types of illegal substances detected in their fur and blood. We were not equipped to handle this dangerous situation and had to reach out to our partners for help and advice. This scenario is not unique, as those involved in animal neglect and abuse cases are often involved with other criminal activities too. As a result, our Officers encountered different and often unknown dangers each day. While it was an extremely difficult decision to make, we had to face the truth: we are not an enforcement agency. We are not police. We are not experts in law. We are not willing to put the safety of our staff and the animals in our care at risk by doing a less than adequate job. We are a non-profit organization, dedicated to advancing the welfare of animals in our community. For these animals, we are a homeless shelter, a hospital, a rehabilitation centre, and an adoption agency. We are — at our roots — a Society for the Prevention of Cruelty to Animals. The key word here being “prevention”. We can only prevent cruelty through advocacy and education. If we are conducting enforcement, the damage has already been done. Each year, we take in over 6,000 animals, many from situations of neglect and abuse as a result of the enforcement efforts of other agencies. And we will continue to be here for those animals when they need a warm bed, a meal, crucial medical care, or a loving touch. We will be here for dogs like Missy, transferred to us with a severely broken leg, suspected to be a result of abuse. We will be here for cats like Frannie, shot six times with a pellet gun. And we will be here for rabbits like Bugs, brought in with nails so overgrown they nearly curled into his paws. We will best serve animals in our community by re-focusing on our core services and areas of expertise. But we cannot give animals like Missy, Frannie and Bugs a second chance without the support of our donors, volunteers and community. We are incredibly grateful that the City of Edmonton has stepped in to ensure animal protection enforcement will continue in our City. 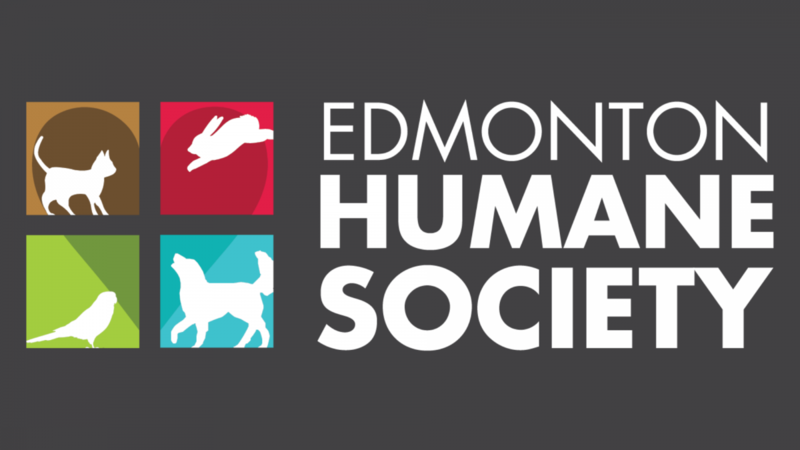 As enforcement transitions away from us and to those who are properly trained and equipped to carry it out, we hope that you will move forward with the Edmonton Humane Society so we can continue to be a trusted safe haven and advocate for the animals in our community for another 110 years. Summer Bradko is Chair of the Edmonton Humane Society’s volunteer Board of Directors. She joined the Board in 2017 and became Chair in May 2018.